The joy of a family vacation is endless when you have all the best comforts of home right at your fingertips. 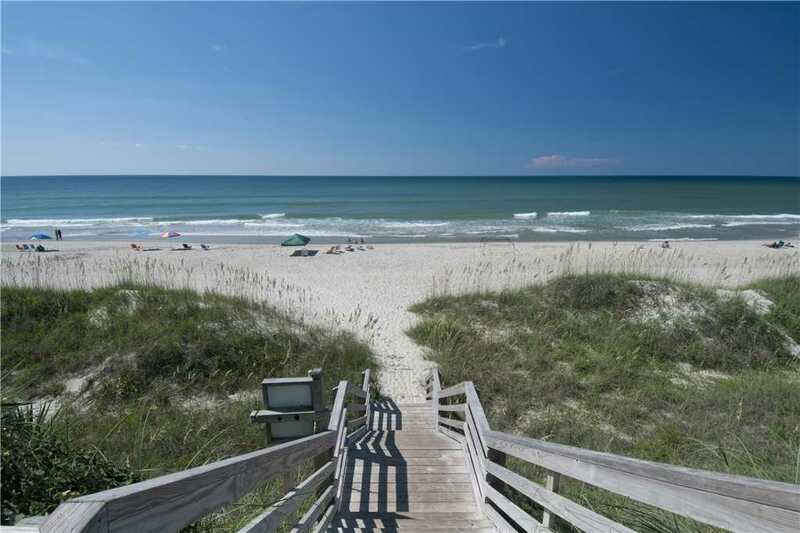 Staying in a luxurious Emerald Isle Realty condominium will ensure your beach vacation is incredible. 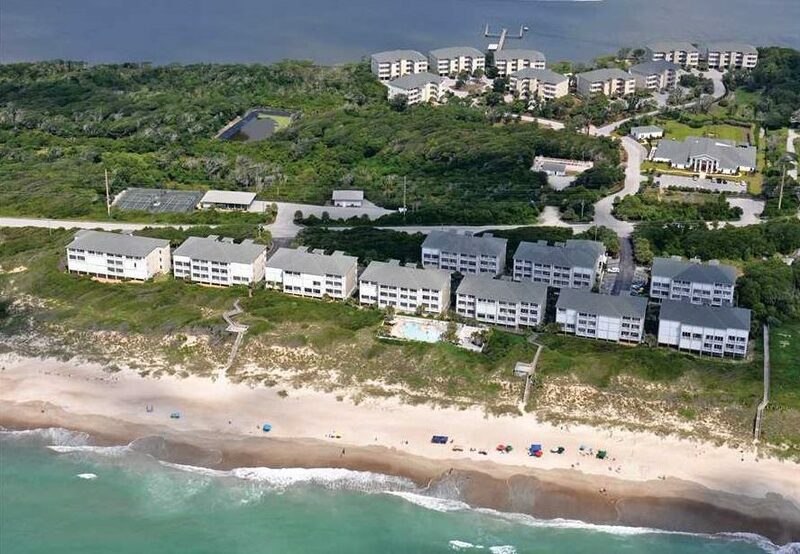 Ocean Club I-202 is a second-row condominium located in the heart of Indian Beach and features three bedrooms and two bathrooms. Ocean Club I-202 has three bedrooms with two queen-size beds and two twin-size beds. 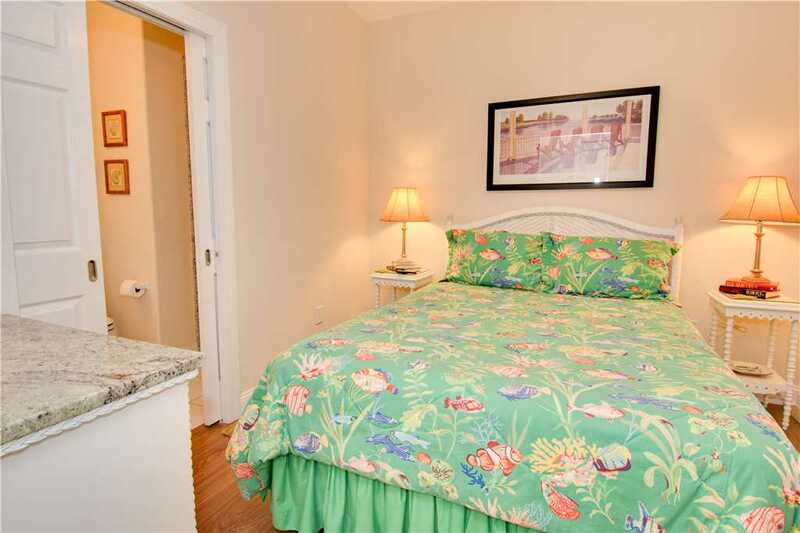 Each bedroom feels like home but with fun coastal décor and warm beige walls. 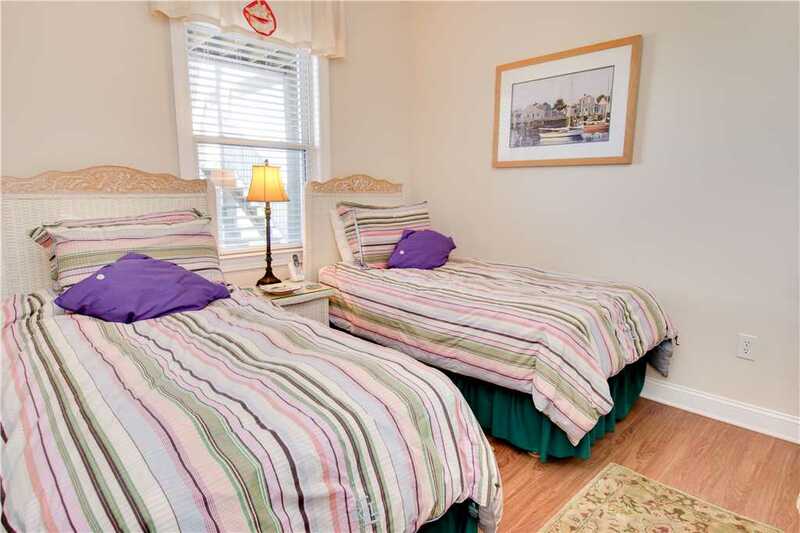 The master bedroom has a queen size bed and a large window that allows plenty of natural light in for a friendly wakeup call from a Crystal Coast sunrise. 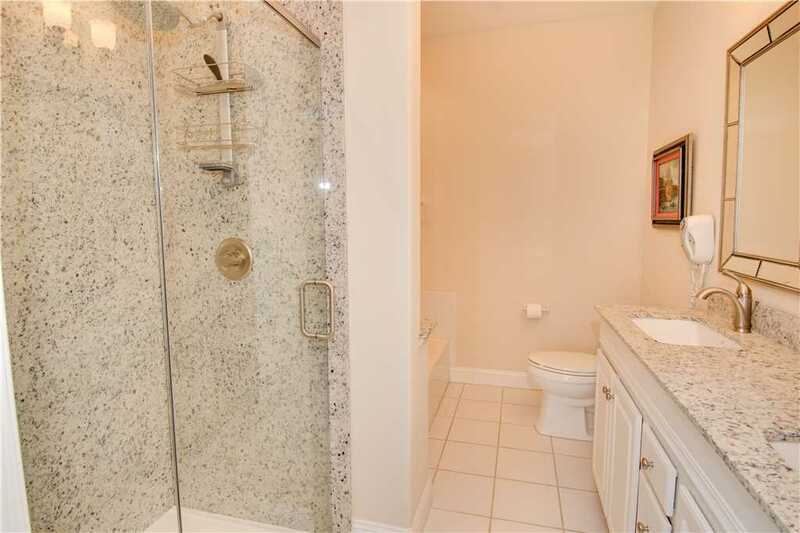 The adjoining bathroom is spa-like with a refreshingly spacious shower and a large garden tub. In the second bedroom, there is a queen size bed and is connected to the other bathroom which has a large glass door shower with an invigorating rainfall showerhead. Both bedrooms have flat screen TVs with cable. 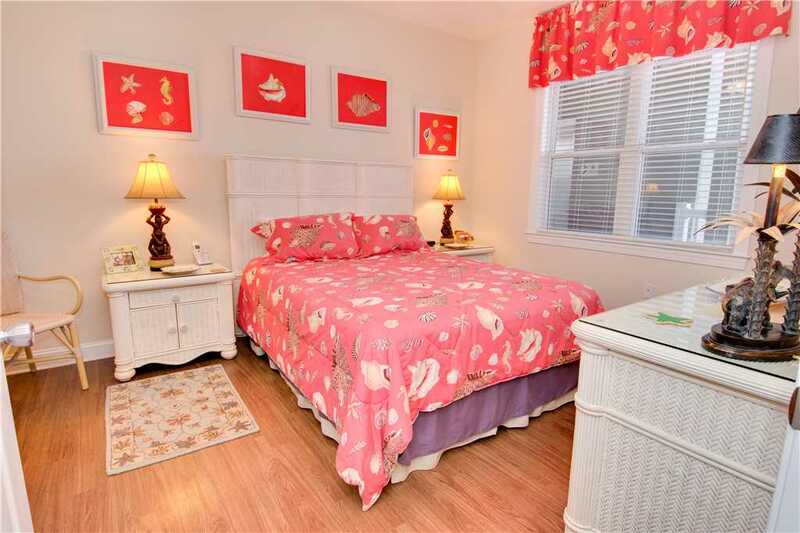 The third bedroom is perfect for your younger guests with two twin-size beds. 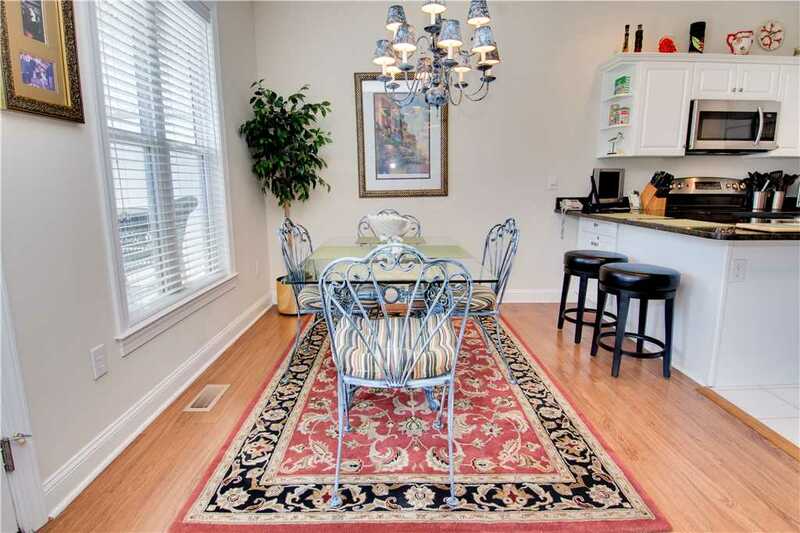 This condo’s open concept layout is perfect for entertaining your guests without feeling isolated. 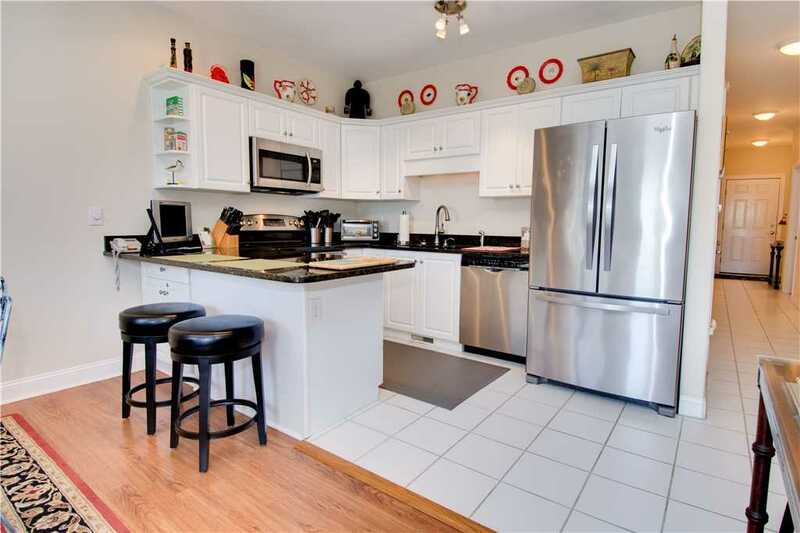 The gourmet kitchen, which has beautiful granite countertops, comes equipped with stainless steel appliances. Take advantage of the large French door refrigerator that has plenty of storage for groceries, as well as an oven, microwave and dishwasher. A counter-height bar right off the kitchen has seating for two and is perfect for an on-the-go breakfast or indulging in a beverage after a long day at the beach. The connected dining room has a glass top table with seating for four and faces a window for meals with a view. 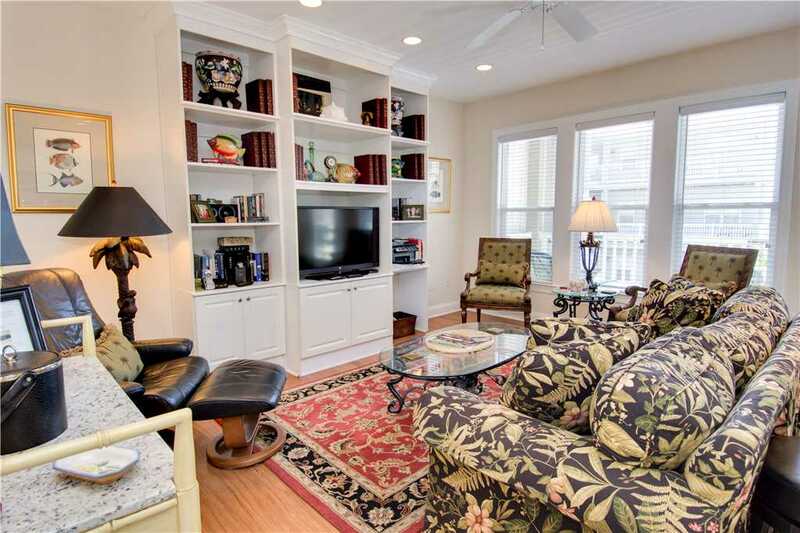 Built-in bookcases add sophistication and charm to the living room which is accented with warm coastal designs. 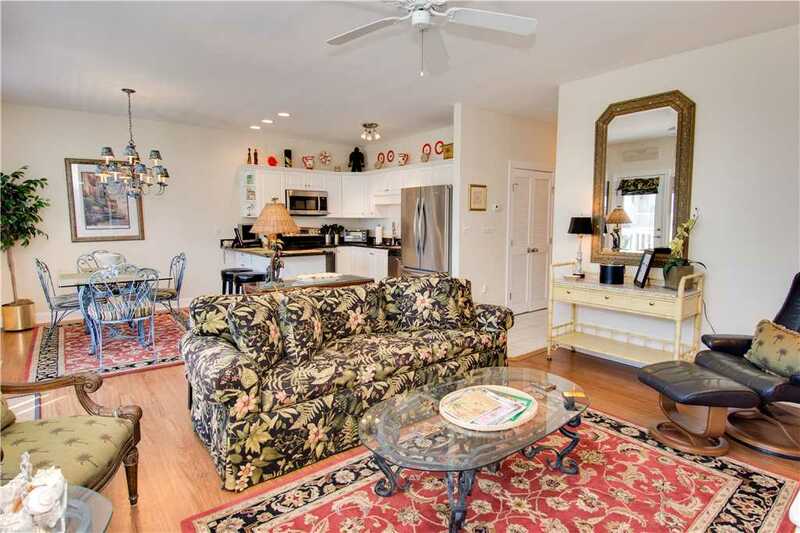 A plush tropical sofa faces a flat screen HDTV and has a view of the three large windows that overlook the balcony. 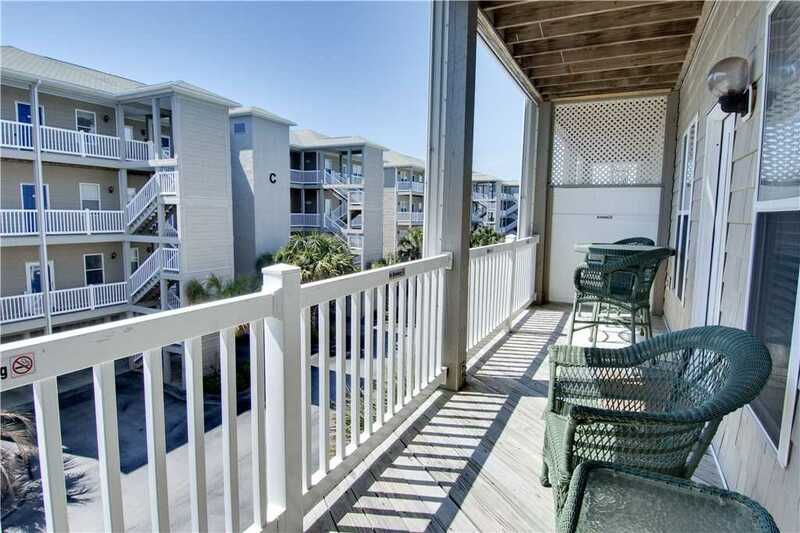 When you make your way out to the balcony, you’ll get a view of the ocean while you take in the sea air from one of the four comfortable wicker chairs. 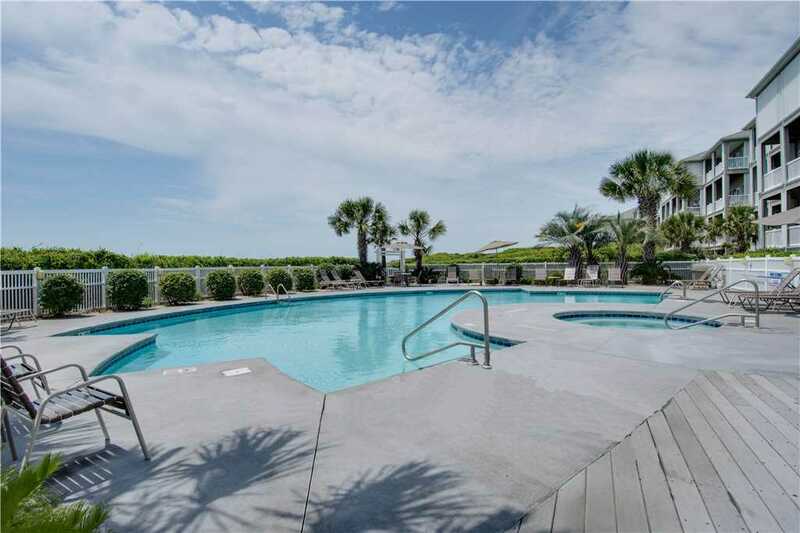 The Ocean Club condominium complex is unique to the area as it faces the ocean and Bogue Sound, giving you exclusive access to both. Ocean club also has two large outdoor swimming pools with hot tubs that are adjacent to the water. The pool areas also have tables with umbrellas for the perfect poolside lunch and lounging areas for you to work on your vacation glow. 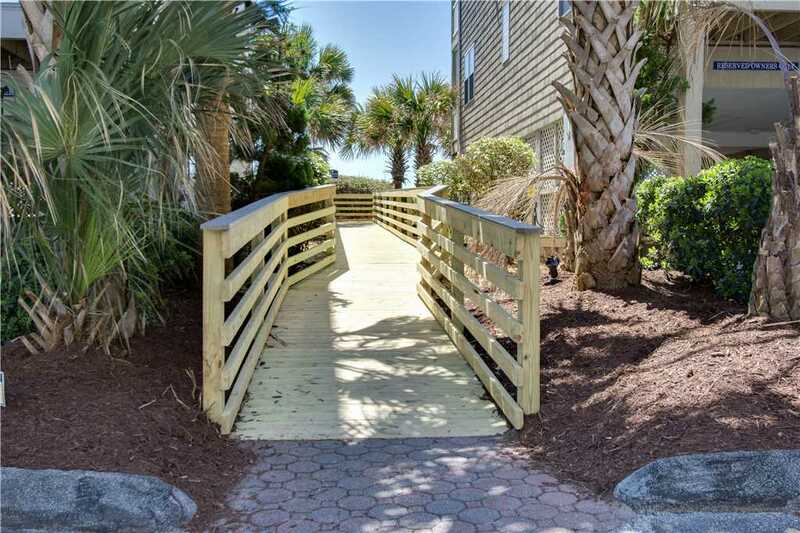 When it comes to beach access, you’re in luck with a boardwalk that crosses the dunes right to the beautiful oceanfront. 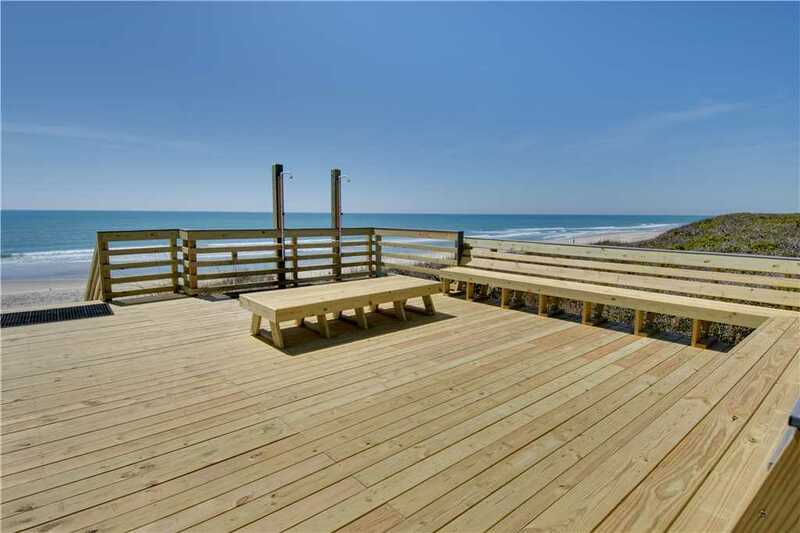 A deck area on the boardwalk also has outdoor showers to wash the salt and sand away after a day at the beach. 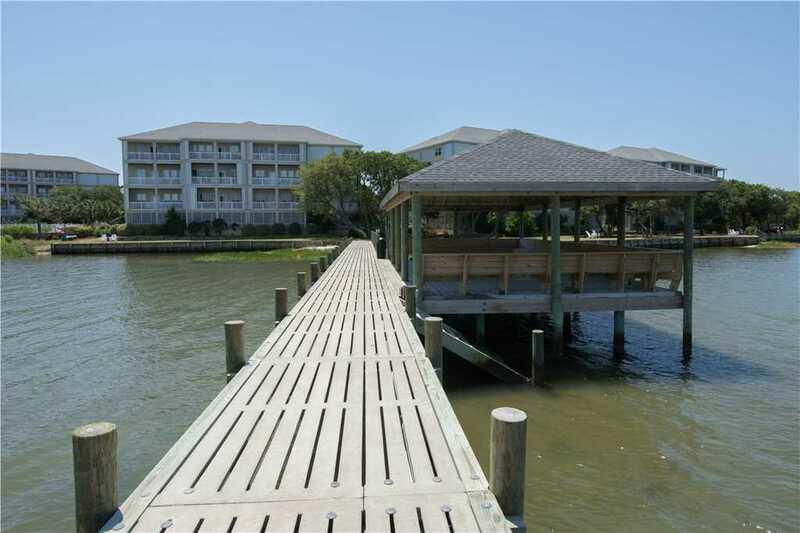 And if you’re looking to relax, tranquil views of Bogue Sound are accessible from a pier, which has a covered seating area as well. 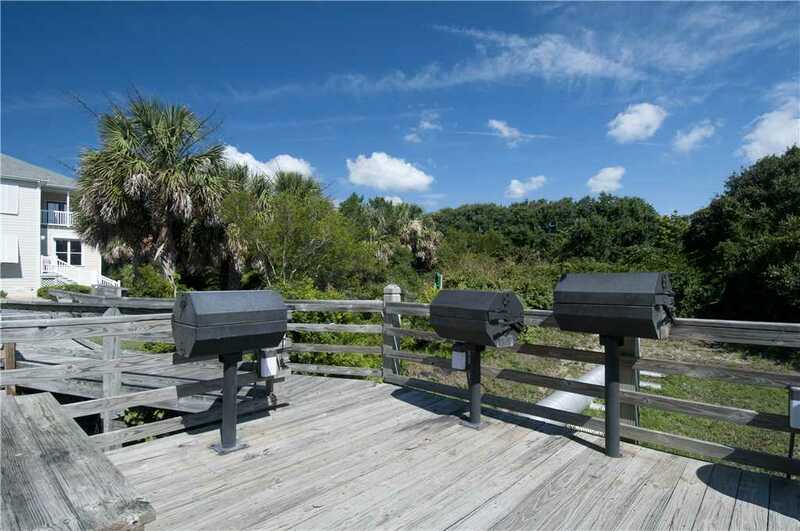 If you’re interested in hosting an Emerald Isle barbecue cookout for you and your guests, the complex grounds provide a beautifully landscaped picnic area with several charcoal grills nearby.  A fitness center is also available with state-of-the-art equipment for those who want to sneak in a few workouts. Treat yourself to the perfect getaway experience that will leave you feeling fulfilled and exhilarated, all the while creating one-of-a-kind memories on the Crystal Coast that you and your guests will cherish for years to come! Find Ocean Club I-202 availability that’s right for you while checking out more photos of this cozy ocean and sound front condo!